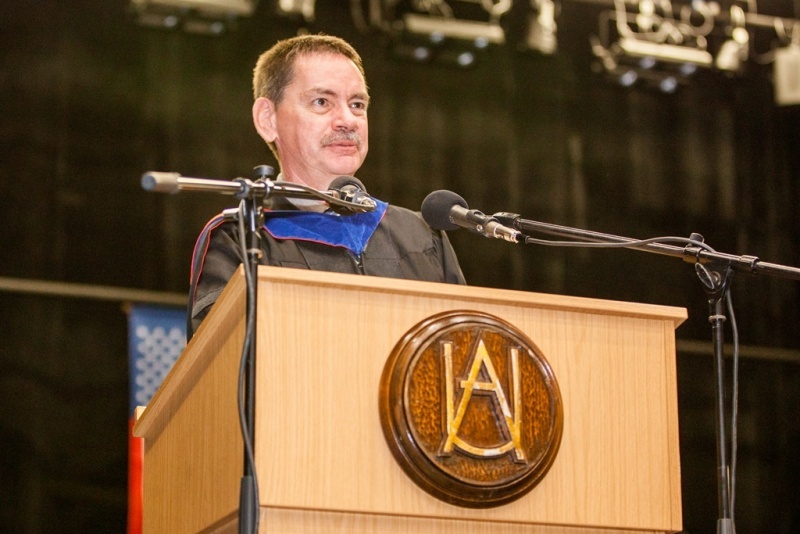 22 May 2018, Blagoevgrad, Bulgaria – The American University in Bulgaria (www.aubg.edu), a leader in Liberal Arts education and a fully accredited institution of higher learning in both the United States and Bulgaria, announced that its Board of Trustees appointed Dr. Steven F. Sullivan as President for a two year term. President Sullivan has been a longstanding member of the AUBG community. He came to AUBG twenty years ago, in 1998, and has served as a faculty member, Dean of Faculty, and Provost and Vice President for Academic Affairs. He is an accomplished and highly respected administrator who has overseen advances in academic programs and enrollment.President Sullivan holds a Ph.D. and M.S. in Economics from the University of Wisconsin, Madison, and a B.S. in Economics and Political Science from Rice University. Dr. Sullivan has led AUBG since March 2017 as Interim President. According to Dr. Ivan Manev, Chair of the Board of Trustees, AUBG has reached several important milestones under Dr. Sullivan’s leadership. “The Board is confident that we can build on this momentum and achieve new milestones. I look forward to seeing you working together with President Sullivan and supporting him in his efforts to sustain and further improve the world-class quality education AUBG offers. I know that all of you share his pride and passion for AUBG – let’s work together for the betterment of the American University in Bulgaria,” said Dr. Ivan Manev.